Police in Dieppe, N.B., are looking for a man suspected of voyeurism last month. The Codiac Regional RCMP have released a sketch of the suspect who was spotted in the Mathilde Street area of the city. 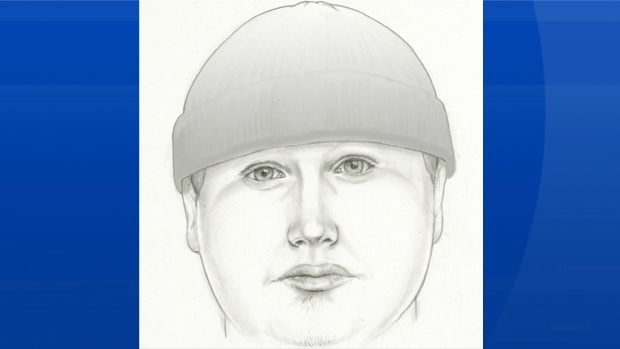 The suspect is described as being approximately 30 years old and is about six feet tall and about 180 pounds with a round face. He might have brown hair with a brown soul patch style beard. He was wearing a black toque, a black winter coat and black pants.